but after I start change water frequently its look from my refugium the rock grow macroalgae again slowly while UAS and ATS still growing. 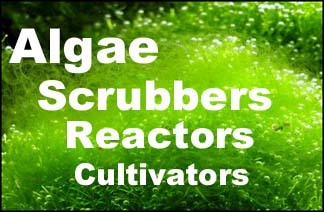 Anyone know which ones is the best for growing macroalgae in refugium ?? they need mix colors or what ? It is the same need spectrum like we build light for ATS or UAS ??? Is the same, as far as I know. Yes, it's the same, people have now started to use the red blue growlights in refugiums. Cheato seems to grow well in it. I see leds light for aquascaping might be its the same,..